Categorizing the world’s best cigars is often easier said than done—it’s like naming your favorite band or movie—relying on so many other variables, such as the mood, pairing, price point, etc., that it becomes nearly impossible to make such a call. Now, suppose you take that list of musicians or films and break them down into genres—it’s suddenly a lot more manageable. 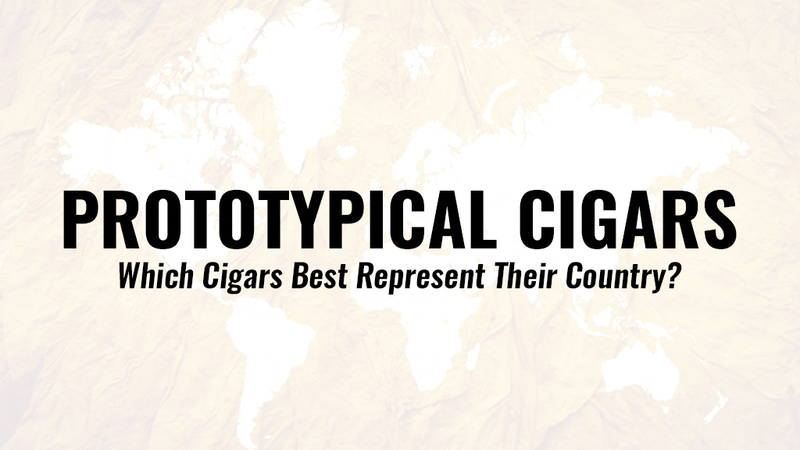 To accomplish this, we’ve polled six of the industry’s biggest cigar bloggers, personalities, and retailers on what they consider to be the prototypical smoking experience from Cuba, Dominican Republic, Honduras, and Nicaragua. The criteria for their picks did not limit them to puro blends (where the entire blend is made up of a single coutry’s tobaccos), but instead required that the cigar be rolled in the given country and include at least one componant of the blend from the given country. E.g. the Añejo by Arturo Fuente can be classified as “Dominican” because it is rolled in the Dominican Republic and uses Dominican fillers (even though its wrapper is Connecticut Broadleaf). This is a great example of a “Dominican” smoking experience, even though it does not include 100% Dominican tobaccos. We also accepted cigars rolled from another country if the blend was puro, such as Davidoff’s Nicaragua Box Pressed – which is rolled in the DR but uses all-Nicaraguan leaf. Again, this is a great example of a “Nicaraguan” cigar, even if it happens to be assembled in the DR. Note: unlike our ranking of The World’s Best Maduro Cigars, where panelinsts were able to chose five cigars, we’ve limited picks to one cigar per country per panelist for this article (with one exception, see “Nicaragua”). 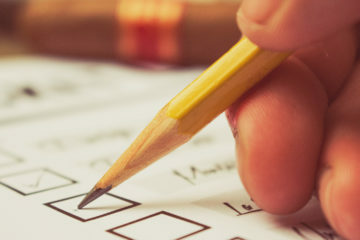 Therefore, brand owners and manufacturers were not included in the polling to make for less bias in the picks. Dave Burck shook things up amongst the monotony of traditional cigar-based entertainment in 2015, releasing the weekly podcast Cigar Jukebox. As opposed to traditional cigar reviews, Dave strives to highlight the total smoking experience through his love of music and cigars. “It is a wonderful feeling when a cigar and a song match perfectly,” explains Dave. Cigar Jukebox (cigarjukebox.com) is both a podcast and blog (did we mention he’s based out of Australia?! ), where Dave features cigar industry guest hosts, sharing their personal tastes in cigars and music in an easily-digestible format for the everyman. “Coop has the scoop,” as we like to say. This man is 100% dedicated to bringing fresh, teaser-free, cigar journalism to the masses. His website, cigar-coop.com, has a record-holding 1,621+ days in a row of posting new content! This includes the most up-to-date cigar news available, in-depth reviews, opinion-piece articles on the industry as a whole, and much more. Coop is also a founder of the Cigar Media Association, a regular on the Stogie Geeks podcasts, and a Cigar Rights of America Ambassador for the state of North Carolina. Seth Geise (AKA “Big Tuna”) is the founder of the former Seth’s Humidor blog; now taking residence as a regular contributor for Cigar Federation, including the weekly, live-streaming show “What Embargo?”. As the name suggests, “What Embargo?” focuses on Cuban cigars, where Seth has become well-regarded for his palate and knowledge in the often mystery-enshrouded world of Habanos cigars. 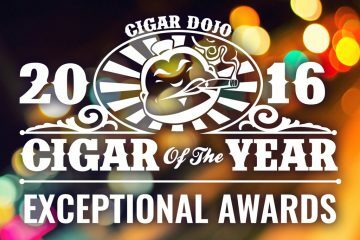 Originally a founding member and co-owner of popular review site Blind Man’s Puff, Aaron Loomis has branched off, showcasing his sophomore cigar blog as co-founder and contributor of Developing Palates (developingpalates.com). Aaron has taken his prior experience and crafted a clean and robust way for cigar enthusiasts to absorb the overall experience of a cigar with unique and carefully thought-out ratings system. In addition, Aaron has also served on the Board of Directors for the Cigar Media Association. Paul Scipioni is not the man you’d expect when considering his status as the co-owner/manager of operations for Atlantic Cigar Company, one of the largest retailers of premium cigars in the country. No, he’s not the old, “fat cat” businessman, but one of the friendliest, neighborhood-style South Philly boys (think Rocky) you’ll ever meet. Atlantic is unique in that it doesn’t bombard the user with empty promises of “the best deals ever!! !” that you see far too often—instead focusing solely on craft/premium/boutique cigars that die-hard fanatics seek out. This, and the fact that Atlantic is possibly the only major online retailer that you can actually buy a single cigar (creating your own 5-packs is HUGE) without being charged extra for the privilege of it—makes Atlantic stand out as a must for hobbyists looking to score on the latest and greatest. Paul’s expertise is exposed in the strict standards he’s set in place for Atlantic—if they sell it, you’ll know it’s the real deal. Delicia Silva (AKA Cigar Vixen) is the reining queen of cigar reviews and cigar lifestyle. Beginning with easily-absorbed video cigar reviews (read: easy on the eyes) on her site, cigarvixen.com, Delicia has since expanded to encompass the entire lifestyle of finer things, including appearances as a special guest for many of the world’s largest cigar events, her own Cigar Vixen calendars (a MUST for your cigar lounge), and even her own travel series, “Nicaragua is HOT”. There are undoubtedly a few that can represent the traditional Cuban style of smoke from this special region, however I went with my own personal favorite- Bolívar Belicoso Fino. To me, this cigar delivers the heart of Cuba with tobacco from the Vuelta Abajo region with a good amount of strength and spice, but still has that woody and floral element with hints of coffee bean. It might be cliché to pick a Cohiba Behike, but that classic zing with impeccable construction embodies Cuabn cigars. What I really like about this cigar is you get that “Cuban Twang”, but not at the expense of the rest of the blend. I consider this to be one of the greatest cigars available worldwide. It is a Churchill that shows complexity and depth throughout, and from beginning to end, it delivers. There is a nice spice to the cigar, it has that Asian spice quality, and with it, there is this salty wood profile. There is a damp, earthy quality to it, very manure-like, and with that there is the chocolate sweetness and stone fruit flavors that take it to the next level. They are great young and fantastic with age. This is the cigar that I think all smokers should be given as their first Cuban. The flavors are so full and balanced with a medium strength level. You get a mild saltiness to go along with, what I consider, the staple Cuban profile. This cigar isn’t just for beginners though, as the profile holds up for experienced smokers as well and I always look forward to each opportunity that I get to enjoy one. With regards to Cuban cigars, consistency can be an issue from cigar to cigar, and the No. 4 has certainly had its ups and downs—like most Cubans. But when you a get a good one, the world stops for a moment. There is a good reason this cigar was once Cuba’s best seller. It seems most consumers go for the No. 2s but over the years that size has suffered a bit from over production, whereas not as much with the No. 4s. A true testament to the passion and knowledge of cigar making by the Fuente family. One can’t mention Dominican cigars without tipping your hat to the Fuentes. One of the finest maduro cigars in the world, the Connecticut broadleaf wrapper used on the Añejo is by far the finest I have come across. A bold cigar loaded with flavor, very well balanced and ages extremely well. The No. 77 “Shark” is outstanding and is the size most consumers reach for, and with good reason. But don’t overlook some of the others sizes. A Cameroon wrapper but all Dominican underneath, this is a nice, mid-strength level representation with smooth but complex flavors. With the Fuente consistency, this is always a winner. While all sizes of the Fuente Fuente OpusX are enjoyable, the Petit Lancero vitola is my ideal choice. I feel this cigar best represents the “Dominican flavor” produced in the D.R.—incredible construction as well as complexity in flavors ranging from toasted bread, aged cedar, white pepper, light orange peel citrus, sweet anise and mild cocoa. There aren’t a lot of Dominican puros out of Davidoff’s facilities, but this is one of them. It uses the Yamasá region wrapper and showcases the best of what Dominican tobacco has to offer. I struggle with the The King is Dead line overall, but this particular vitola is fantastic. It is possibly one of the best torpedos on the market and a Dominican puro I can turn to regularly. Unlike Fuente’s OpusX, “The Last Payday” size is great young and with age, and they deliver a flavor profile that shows cappuccino and hazelnut notes. There are some earthy and soft chocolate notes present as well, and it has just the right level of spice to balance it all out. For me, this is the closest thing to cigar perfection. An extremely well-balanced finish, with nuanced flavour that demands your attention. Raíces Cubanas, coming out of Danlí, Honduras, with a Honduran wrapper and binder, and Honduran & Nicaraguan filler. To me, this cigar best represents the quality and taste coming out of Honduras, with sweet cedar, rich tobacco, dried cherry and a nice creaminess. Robusto (5¼” × 52) is the size I prefer in this blend. A solid smoke from Alec Bradley, the last few years they have been producing some really great smokes. The Alec Bradley Sanctum Toro is a tasty smoke which starts off on the mild side, then intensifies, delivering a complex flavor profile that’s very enjoyable—a cigar that can be enjoyed at any time of the day. This cigar gives nice doses of coffee and pepper but isn’t harsh or too strong. Honduran tobacco can be pretty polarizing with some people, but this blend really shows off some its best aspects. This (5″ × 50 Robusto) is unlike any Honduran puro I have ever had. It is loaded with complexity and does not have a drying effect on the palate like many Honduran puros do. Honduran puros are probably the toughest puros to make in my opinion, but when you make a great one, puros from any other country can’t compete with them. The EIROA Corona Prensado (4″ × 48) shows the awesomeness of Honduran tobacco and especially Honduran Authentic Corojo. The cigar delivers a sweet cream flavor profile that is paired with white pepper and sweet spice. It is the core flavor profile. There are chocolate and nutty qualities as well, and the finish is of rustic earth and cedar notes. It is balanced and above all else, flavorful. No one is close to capturing the greatness of Honduran puros to Christian Eiroa. I have not had many cigars with Honduran tobacco, but this cigar is a unique experience. The Flor de Selva has a smooth, toasted nut flavor that is accented by citrus notes. I believe Davidoff has successfully created a puro that shows all of the qualities that Nicaraguan tobacco offers. It has a nice balance between being spicy and sweet, delivering some solid pepper notes throughout and it also has earthy, woody and leather flavors. The earthy notes are both dry and rich, and once again, that captures Nicaraguan tobacco. It is very balanced, which is what is important, and it is a Nicaraguan puro that is approachable by many smokers. These have really come along and will age well. With this being a Nicaraguan puro, it really caught my attention with how dynamic the flavors and transitions could be. And the fact that it was done with finesse rather than a high dose of strength was also a fantastic attribute. This is an absolute classic. It was a game-changing cigar in terms of delivering a powerful, full-bodied smoke. I believe that this cigar embodies all that I love about Nicaraguan tobacco. The cigar showcases sweetness, coffee, and chocolate flavors, all wrapped up in a rich body that packs a punch. This was the hardest choice, since the majority of the cigars I love come from here. I’ve narrowed it down to 2 cigars: Padrón 1964 Anniversary Series Natural in the Principe vitola (4½” × 46) – this cigar embodies all that Nicaraguan tobacco has to offer. This was the cigar that made me fall in love with cigars, so if there is anyone who has never smoked a cigar, this would be the way to get them hooked! Excellent construction and flavor. Creamy, with the perfect combination of nutty and cedar notes, and hints of coffee and cocoa. The higher price point makes this a cigar more of an occasional cigar, versus a daily smoke. Which is why I chose a second: Joya Red carries a great price point, which makes it an everyday smoke that offers the Nicaraguan flavor profile with slightly less strength, but beautiful construction and complexity to be enjoyed anytime of the day. Both Nicaraguan puros are highly recommended! Truly a great maduro cigar – consistent and well-made, the Exclusivo (5½” × 50) is the perfect size to showcase this outstanding blend. A cigar that’s very well-balanced with the right amount of strength and flavor.